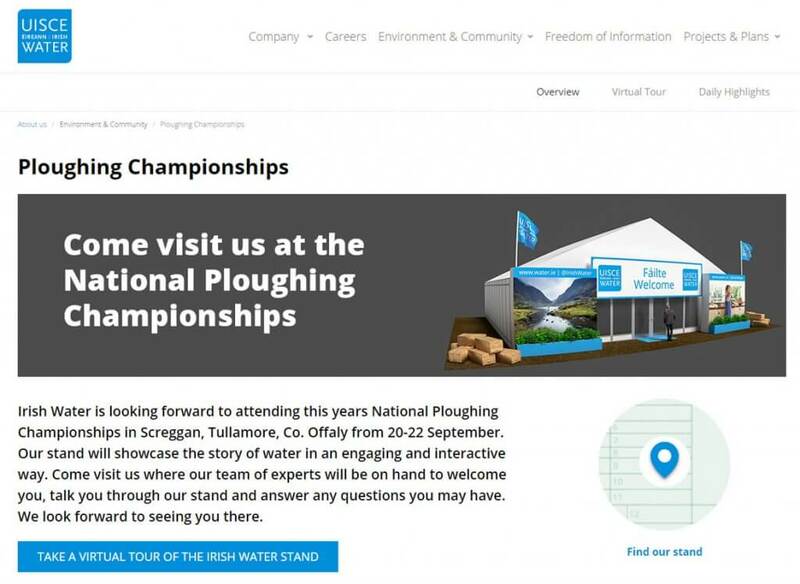 When Irish Water decided to commission a virtual tour of their stand at the National Ploughing Championships they chose Contemporary Photography to execute the job. Contemporary Photography first recorded the material to create the photospheres onsite the day before the show opened to the public. An Independent Tour was created and published using dedicated software and servers. An enhanced tour was then created allowing for the addition of navigation, graphics, images, text and links. The combined tour was then published and Irish Water used the code we provided to embed the tour on their website.